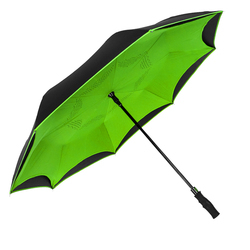 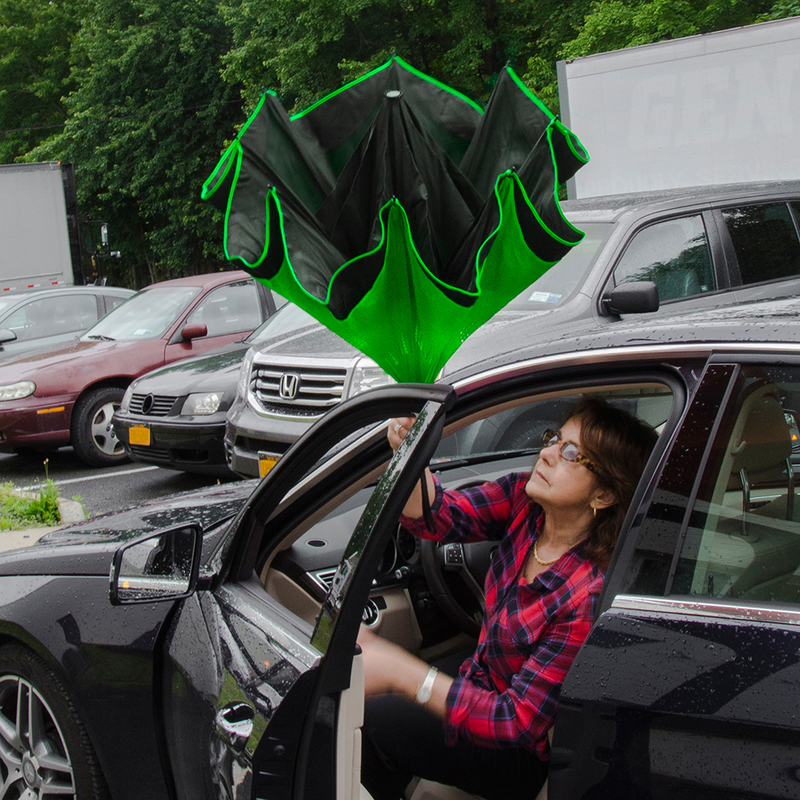 - The auto-open Inversa Inverted Umbrella is designed to not only protect you from the rain, but also from a rain-soaked umbrella. 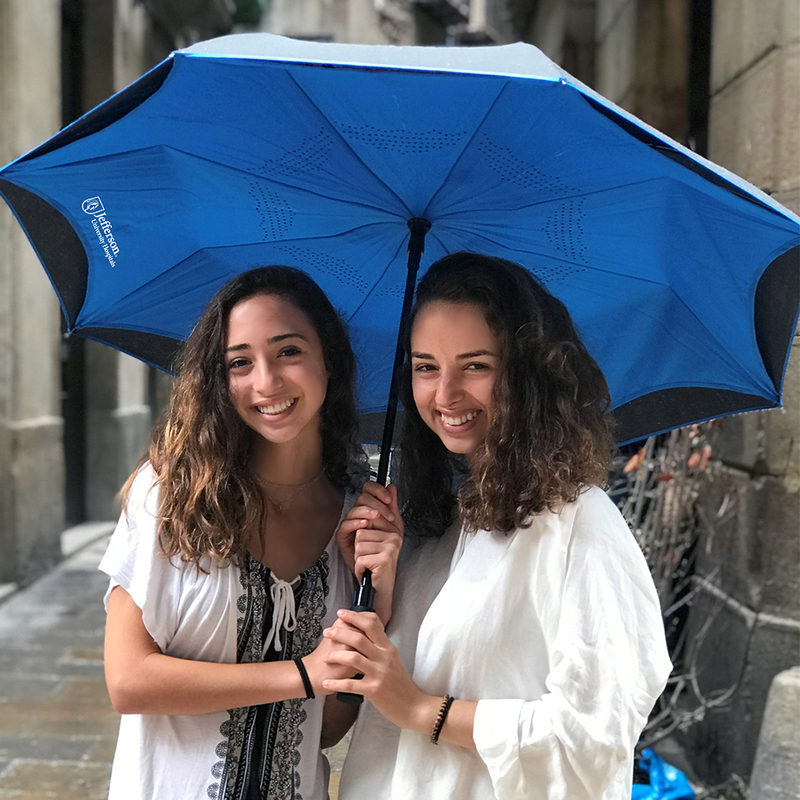 - With a 48" arc, double-layer canopy and all-fiberglass construction, the windproof Inversa closes in reversible fashion, keeping the wet side of the umbrella contained and away from you. 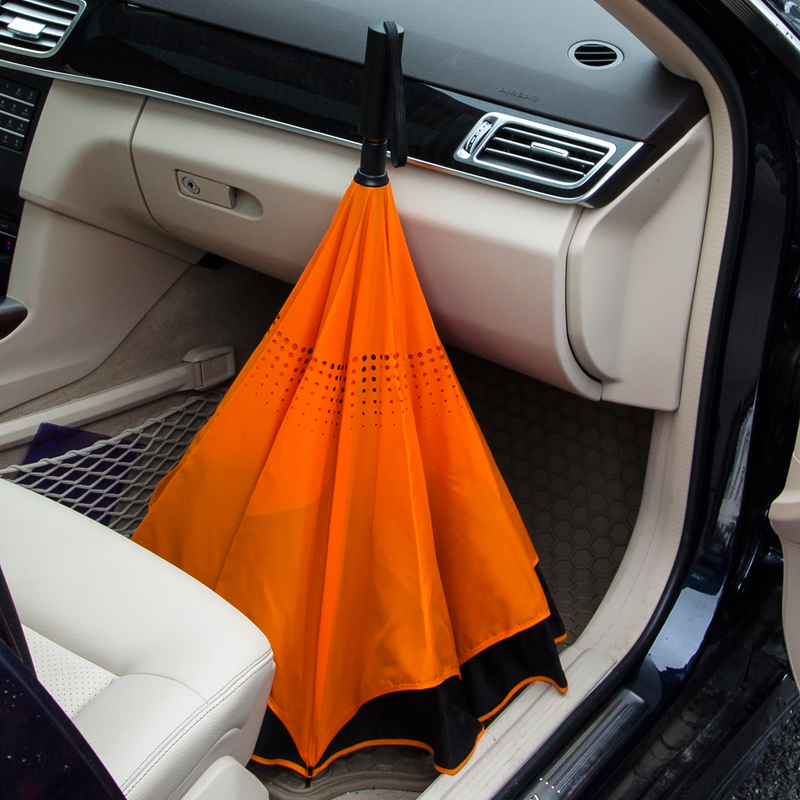 - This intelligent design also makes it easier to open and close from inside doorways and cars, so you stay dry from start to finish. 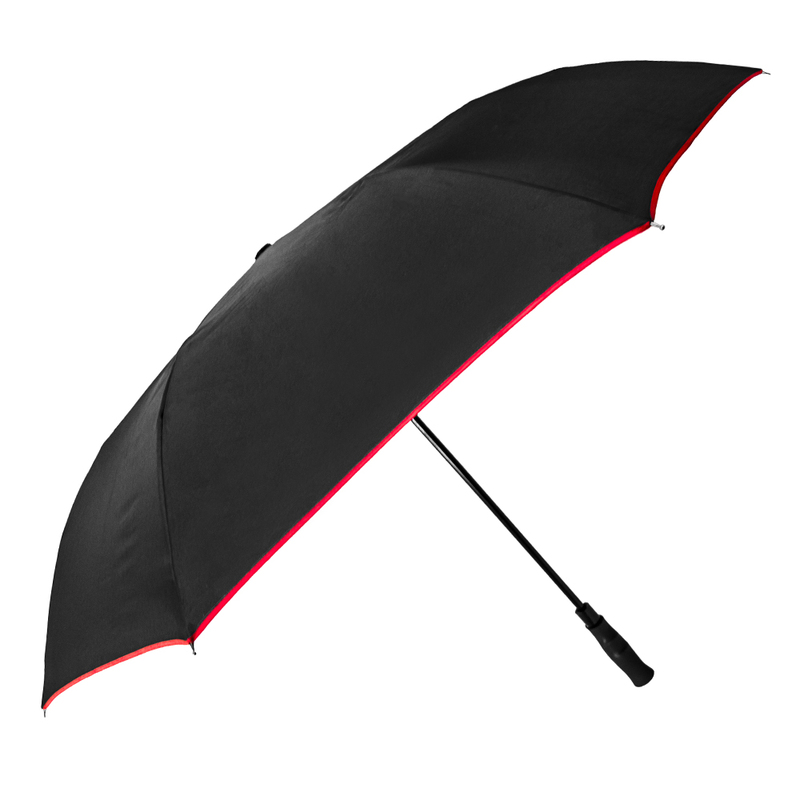 - Available in all-black plus two-tone. 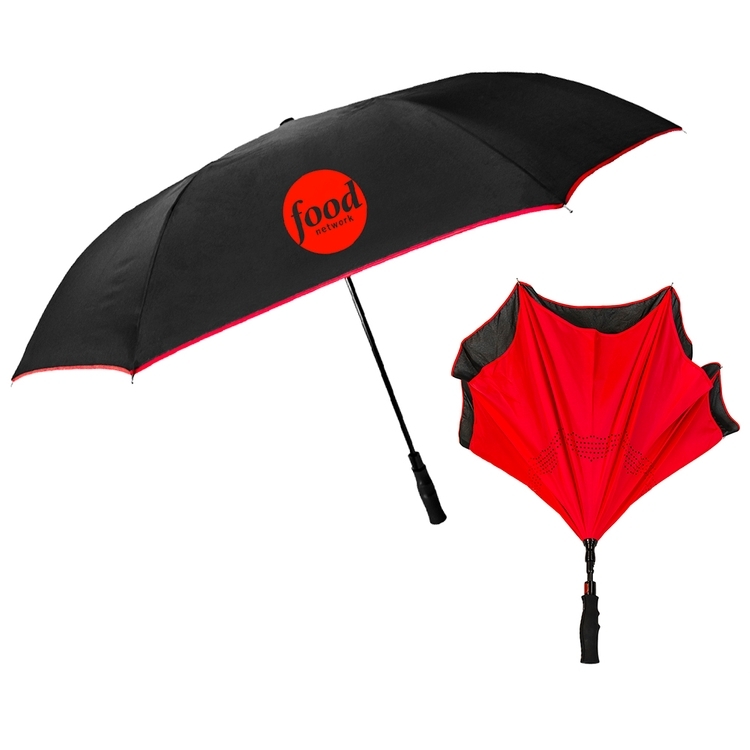 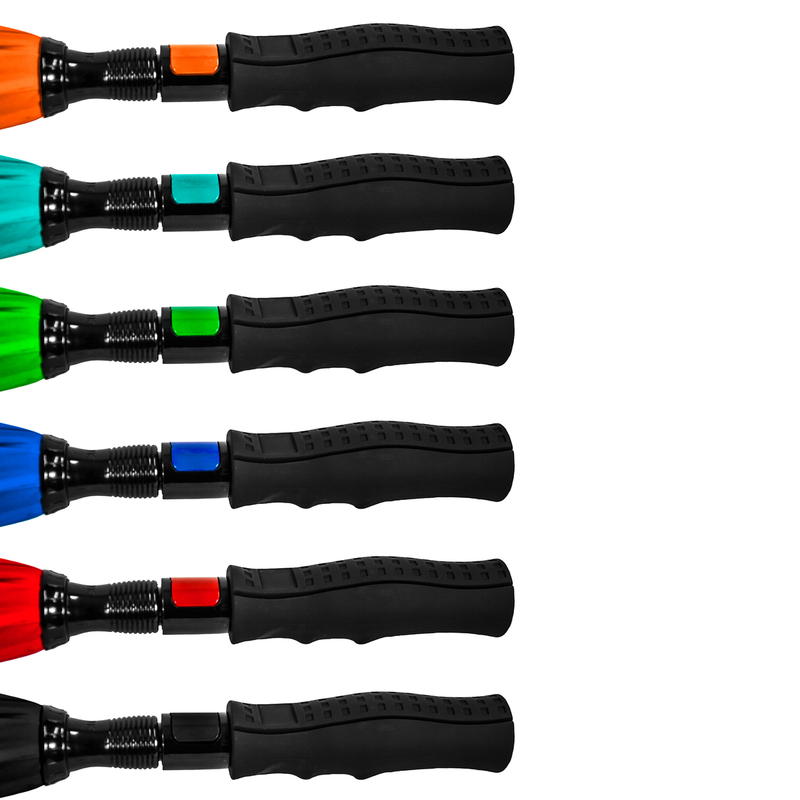 - Comfortably shaped handle, ensures you'll keep a secure grip when the weather gets bad! 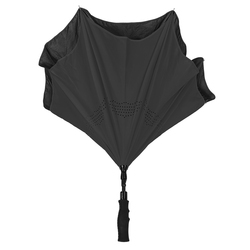 - Folds to 35" long. 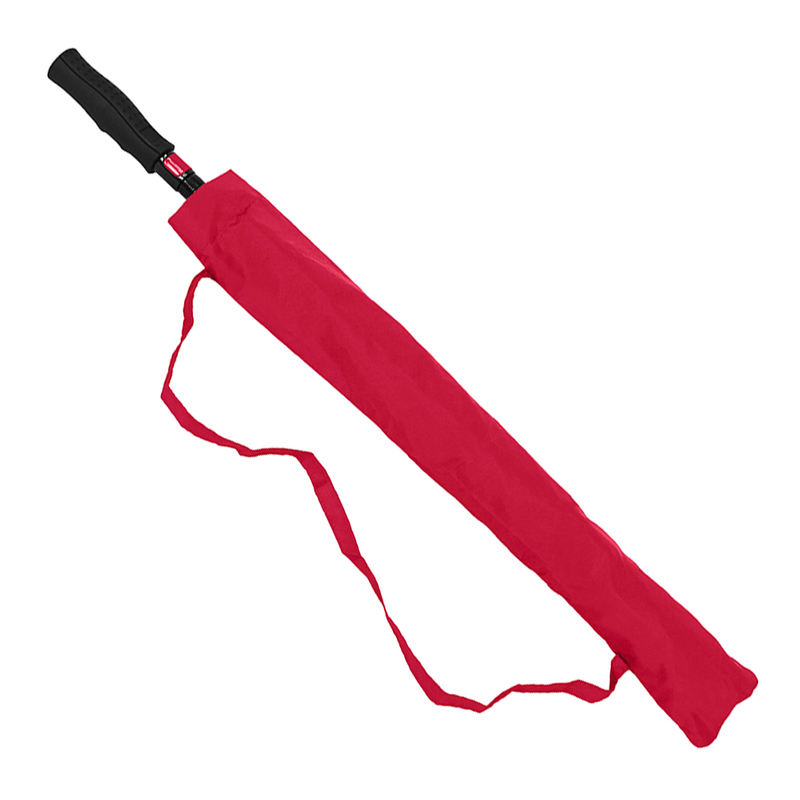 - Includes a matching fabric case with shoulder strap.